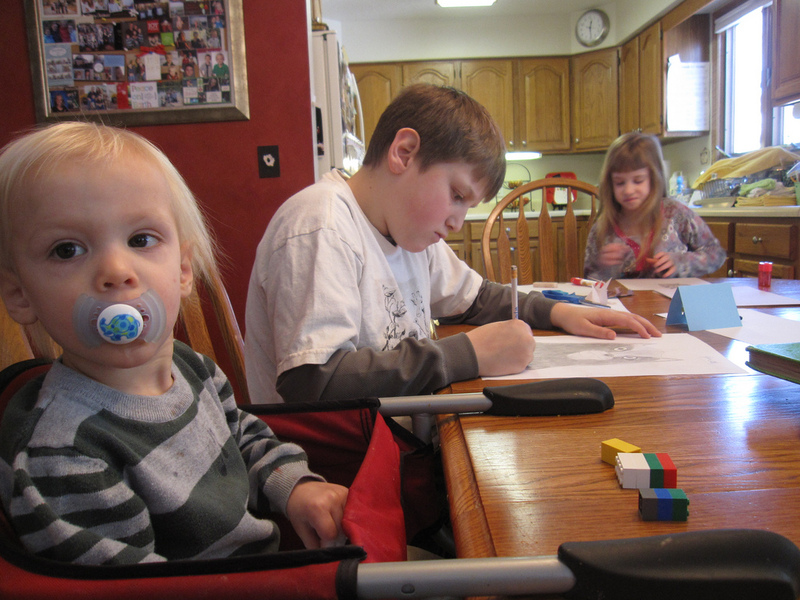 Home » Is there a right to be homeschooled? Is there a right to be homeschooled? The past 30 years have seen a significant rise in the number of children being homeschooled (the practice of teaching children at home, usually by parents). However, the global picture is mixed, with little consistency in legislation and regulation, even across countries within the same region. A brief scan shows that homeschooling is legal in Australia, New Zealand, and Canada. In the United States, homeschooling is legal in all 50 states and it is estimated that over two million children are currently educated at home, up from ten thousand in the early 1980s. In India, whilst there is no provision expressly prohibiting or allowing homeschooling in the Right to Free and Compulsory Education Act 2009, the practice has been informally permitted following a statement in 2010 by then minister of education, Kapil Sibal, who stated: ‘if somebody decides not to send his/her children to school, we are not going to interfere.’ It is estimated that half a million children per year are homeschooled. Little information is available on the status of homeschooling in African countries. South Africa is an exception where homeschooling is expressly permitted under paragraph 51 of the South African Schools Act, 1996. The Act requires parents to register their homeschooled children with the provincial department for education. However, many departments for education do not have sufficient capacity to administer such a registration process, leading to a high proportion of homeschooling parents simply not doing so. This means precise figures for children being homeschooled are not available, but are estimated to be between sixty thousand and one hundred thousand children annually. Across Europe, while homeschooling largely appears to be on the rise, the landscape, in terms of legislation and regulation, is varied. In some countries, such as France, the United Kingdom, Austria, Norway, Denmark, Finland, and Ireland homeschooling is widely accepted as a legitimate alternative to state or private schools. There are, conversely, a number of European countries where homeschooling is illegal. The Netherlands, Germany, and Spain number amongst these countries, and Sweden’s regulation of homeschooling is so stringent it is perceived as a de facto ban. So what explains this disparity in educational freedom in relation to homeschooling? And what does international law say about the right to be homeschooled? Under international law, the child is the primary beneficiary of the right to education and education must conform to certain aims. According to the International Covenant on Economic, Social and Cultural Rights (1966, ICESCR, Article 13 (1)) and the Convention on the Rights of the Child (1989, CRC, Article 29) education shall be directed to, amongst other things: ‘The development of the child's personality, talents and mental and physical abilities to their fullest potential’. Further, the Committee on Economic, Social and Cultural Rights (CESCR), in General Comment 13, stipulates that any system of education must be ‘acceptable’, i.e. of a sufficient quality and relevance in developing a child to her or his fullest potential, and ‘adaptable’, e.g., to the changing needs and context of the society in which the child lives; ultimately, any education system must ‘enable all persons to participate effectively in a free society’. International law additionally stipulates that states are legally bound to structure their education systems, whether delivered by the state or a private provider, in order to ensure that these requirements are met (ICESCR, Article 13; CRC, Articles 28 and 29). Ultimately, what this means is that international law places obligations on states to ensure that children, as rights-holders, are able to enjoy their right to education, and the provision of that education must conform to certain aims and minimum standards. Viewed from this perspective it would seem understandable that states may view removing a child from a regulated school system—whether private or public—set-up to fulfil the aims of education, in order for them to be educated in an unstructured environment, and by someone who may not hold any teaching qualification, would be at odds with that child’s full enjoyment of their right to education, and their opportunity to develop to their fullest potential. Indeed, in the case of Sweden, for example, the education authority’s argument for very tightly regulated homeschooling is based on children’s rights to be taught an objective and science-based curriculum, by professional teachers. Similarly, the German education ministry highlights the essential role school-based education plays in the socialisation of children, and the importance of such socialisation to other cultures, religions, and customs in order for every child to grow up to be a well-rounded citizen in an increasingly multicultural society. However, it shouldn’t be forgotten that educational freedom, which is a key way the right to freedom of religion and conscience is exercised, is critically important for democratic, tolerant, and plural societies. Indeed, one of the drivers of the creation of human rights law in the aftermath of World War II was a desire to protect the freedoms of religious minorities. So, although children are the primary beneficiaries of the right to education, international law recognises that children are not fully autonomous rights-holders, and that parents (and legal guardians) have the right to exercise freedom of religion and conscience, which includes freedom from unnecessary state interference in how they chose to bring up their children (International Covenant on Civil and Political Rights [1966, ICCPR], Article 18 (4); ICESCR, Article 13 (3)). The freedom of non-state actors to establish private schools, although intimately connected with freedom of religion and conscience and a key means to protect it, is a freedom that extends to everyone. This means that anyone can establish and operate any type of school (with certain restrictions, discussed below). Other than religious schools, schools that cater for Indigenous Peoples and minorities, particularly linguistic minorities, are common and are a key means of protecting culture. As are schools that employ alternative pedagogies, for example, self-directed and hands-on learning, and schools that allow children to focus on their passions and non-academic talents, such as the performing arts or sports. So, why do some countries choose to stop short of extending parental freedoms to include the right to educate their children in the home? The answer lies not simply in examining the rights and freedoms separately afforded parents and children under international law, but also in how these are translated into legislation by different countries, and how, in particular, countries negotiate the freedoms of one group in relation to the rights of another. As education is a human right, the state will always have a role in education policy. It cannot exit the field and leave education to non-state actors. Under international law, at the very least, states are required to regulate and monitor any education offered by non-state actors in order that such education meets the aims of education (CRC, Article 29; CRC General Comment 1; ICESCR, Article 13 (1)) and ‘conform[s] to such minimum educational standards as may be laid down or approved by the state’ (ICESCR, Article 13 (3); CRC, Article 29 (2)). Human rights law leaves it to each individual country to set their own minimum educational standards in line with the context and values of the country. Such standards are not prescribed, although the CESCR indicates that they may relate to issues such as admission, curricula, and the recognition of certificates (General Comment 13, para. 29). Further, it is clear, under the obligation to ensure respect for human rights, minimum standards must not allow non-state actors to violate human rights, for example, they can’t permit private schools to discriminate against certain groups. Given that international law does not expressly require states to recognise homeschooling parents as non-state actors in education or to fund private education or homeschooling, any parental freedom to homeschool their children must not fall below the minimum standards the state sets to regulate the provision of quality education by non-state actors in order to protect each child’s right to education. For example, we know that in the United States, the vast majority of parents who currently homeschool have chosen to remove their children from the mainstream school system because they disapprove of what they perceive to be the secular, liberal nature of mainstream schools, and wish to educate their children in accordance with their religious traditions. By and large, regulation of homeschooling is relatively loose in a majority of US states, with many states not requiring children to undergo any form of registration or compulsory examination or testing. Therefore, the minimum standards set to protect the aims of education are relatively weak, and parental freedom to homeschool is easily exercised. This looseness of regulation has, however, led to the perverse effect of parents withdrawing their children from public education in order to homeschool them due to racial discrimination. In these instances, while it demonstrates parents exercising their freedom to choose what they feel best for their children, and without undue interference from the state, it is borne out of discrimination within the public education system. At the opposite end of the spectrum is Germany where the education sector is tightly regulated to the extent that homeschooling is against the law. In cases where parents have refused to comply with legislation requiring them to send their children to officially regulated public, private or independent schools, this has resulted in children being removed from the home, and taken into the care of the local authority. In one such case brought to the European Court of Human Rights (ECtHR) by the Konrad family, the parents sought to challenge Germany’s outright ban on homeschooling as a denial of their freedom of religion. However, in its admissibility decision the ECtHR agreed with the German authorities in its argument that the Konrad children must attend an official state or private, independent, or public school and that this requirement does not violate the parents’ freedom of religion as they were free to pursue religious instruction for their children outside of school hours and to send their children to a denominational school of their choice. Further, Germany’s position regarding compulsory primary education in a government-approved school was for legitimate reasons, namely the best interests of the Konrad children and the fact that primary education is not just about the acquisition of knowledge but also integration into society and the prevention of the emergence of parallel societies. Read criticism of the case, here. Ultimately, in answer to the question as to whether there is a right to homeschool under international law, the answer is no. Parents enjoy the freedom to raise their children in line with their religious and moral beliefs, and free from unnecessary state interference. However, children enjoy the right to education. Both are important but parental freedom cannot trump the rights of the child. States must ensure that parents can exercise their parental freedom to bring up their children in accordance with their religious and moral beliefs to the fullest degree whilst also ensuring that this freedom never violates the child’s right to education. The point at which a state may legitimately interfere with parental freedom in relation to a child’s right to education is determined by the minimum standards they set, in order to protect the aims of education and ensure all children enjoy the right to education as set out under international law. And, as we have seen, under international law, it is for the states themselves to determine standards and regulations and, as a consequence, to what degree parents are free to homeschool their children.